When did expectations and reality become so far apart? Originally I was going to show you the pretty stock photo of the beach (like on all the other blogs). I was certainly not going to show you a photo of what my desk really looks like on a bad day. The desk on the beach is little more than an unrealistic fantasy...imagine what the sand and salt water would do to my computer...not to mention what the sun would do to my skin. I don't know about you but I live in two worlds...the world of my aspirations and then there is reality. On the rare occassion, these two worlds become one in the same. I think that is what we call "success", but most of the time they are strangers to each other. This blog is dedicated to the struggle to bring reality into line with our expectations, goals, and aspirations...whatever you choose to call them. This blog is a portrayal of my Whizbang journey. Strangely enough the very service Whizbang offers is also about bridging the gap between a customer's expectations and the reality of using a new product for the first time. People don't buy things...they buy experiences. When they buy a new bed from IKEA, they imagine sleeping contentedly in that bed. They do not imagining the frustration, confusion and time spent trying to assemble the bed from a flat pack. The aim of Whizbang is to make this "out of box experience" as pleasant and unobtrusive to their dream of using the product as is possible. In this blog I will also be sharing with you the inside journey including some of the challenges I have had to overcome to turn the "Whizbang" concept into a successful global service. I'll even share some of the many lessons I've learned along the way. At this point.I'm not there yet, but inch by inch I am slowly narrowing that gap between a "wild idea" and a highly useful system that will make people's lives less complicated. Are you leaking company profits? Nobody wants a "leaky ship", but that’s exactly how many companies operate…leaking profits through cracks & crevices that go unnoticed. Meanwhile they are totally focused on throwing more money into successive advertising campaigns with the hope of increasing sales. 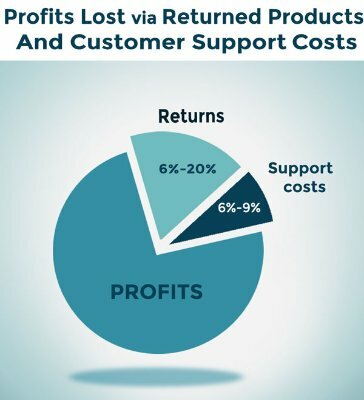 While they are busy concocting the next marketing strategy to win over customers, little attention is paid to the vast amounts of profits they are losing right under their noses through product returns and unnecessary customer support costs. If you've done your homework on the consumer electronics industry you'd have heard the statistics that manufacturers lose between 6% - 20% of their profits on returned goods and... 75% of these goods are without defect (Accenture 2008). To ignore that 75% is to ignore 4.5% to 15% of lost profits and when you’re talking a $285 billion (which is apparently what the consumer electronics market is worth) that’s only 12.8 to 42.7 billion dollars….”so let’s just sell more” is the typical conclusion. According to psychology, once a person obtains something, or owns it, they ascribe greater value to it. This is known as the “endowment effect”. According to this, most people should be very reluctant to return a purchase once they get it home…but they do. The usual reason is some form of customer remorse and although there could be many reasons for this, the most common causes found are unmet expectations or a poor “out of box” experience. So how exactly do you reduce customer remorse? To find a solution, you'd probably need to work smarter instead of harder and that’s where new technologies come in, particularly in regards to communications. So what technology could be most helpful in repairing those leaks? Well some of the savvier marketing executives have cottoned on to the fact that we are now living in an online video era where text has well and truly taken a back seat. Almost 80% of all internet traffic is video. It has many beneficial properties including the fact that is relatively cheap and extremely effective, particularly in the right context. 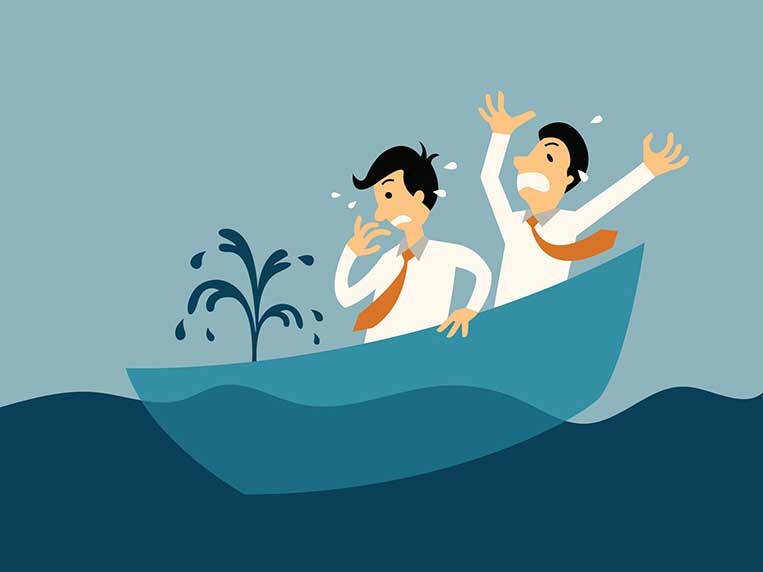 So what does online video have to do with leaky ships, product returns and customer support? You’ve just bought a new gadget, appliance or even worse, a flat packed furniture item. You can't wait to have it up and running (or at least in one piece). Then you look at the printed instructions and realize that you’ve got some work ahead of you. You're probably tired and have better things to do with your time, but this thing is going to need a lot of problem solving. You suddenly remember that this new product was supposed to make life easier. 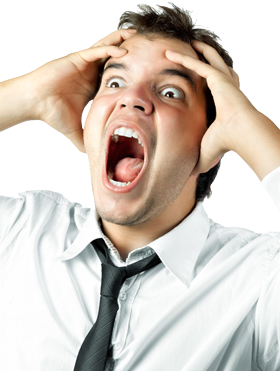 Any ounce of joy you had, quickly dwindles and frustration sets in. Why does owning a new product have to be such a saga? Technology is supposed to make our lives easier, allowing us to do things more quickly and efficiently. But too often it seems to make things harder, leaving us with fifty-button remote controls, digital cameras with hundreds of mysterious features and book-length manuals, and cars with dashboard systems worthy of the space shuttle. Well here’s where video comes to the rescue. There is really no quicker way to have something working than to watch a demonstration, other than to have someone else just do it for you. It’s hard to believe that manufacturers are still handing out archaic printed instructions when they have such an effective communication tool and customers love it. 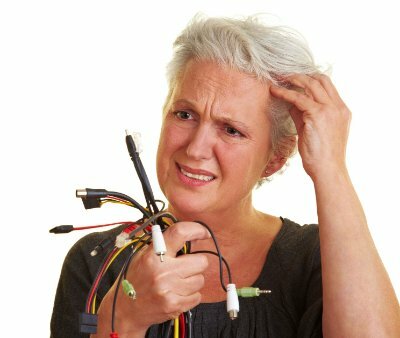 Sometimes a customer thinks a product is broken because they can’t operate it, or worse still, they damage the product while trying to operate it incorrectly. And there’s more…not only can video guides decrease returns rates by approximately 12%, Video can also increase sales by 57% and reduce technical support by 40% (IDC Manufacturing, Insights, - 2011). How is this possible? Well simply put… happy customers become repeat customers. They also become your evangelists to their families and social network. Video guides reduce the number of calls and requests to technical support departments and can even become a great tool for support departments to refer customers to. So you can now see why, as a digital producer, I am so excited about online video. Karen Pouye is a digital producer and the founder of WhizBang; a product support platform which uses video to help users with their products.